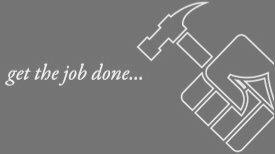 Founded in 1960, a B2B solutions provider of products to build, maintain, repair or operate a facility, at AABTools we believe in going beyond just “selling” a product, but ensuring that we offer you an end-to-end solution. Ours is a holistic approach, from evaluating customer needs through to on-site deployment, we partner with you ensuring that you “get the job done“. We offer a range of high quality innovative brands that represent the best in each of our product categories. Most of these brands have a strong legacy of innovation some of which continues for over a 100 years. These brands are leaders in their respective product category and help our customers tirelessly get the job done. Businesses and institutions depend on us every day as a source of tools, abrasives, material handling, safety and other equipment. 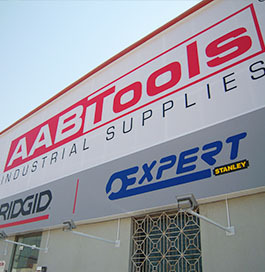 The breadth and availability of product line is a key factor that differentiates AABTools from other industrial vendors. We carry more than 8,000 products in 9 different product categories in stock to provide customers with products the same day (if stocked in any of our 4 branches in UAE) or the next day (if stocked in our distribution center). Our strength lies in consolidation. Our broad product line and wide networks enable us to meet customer requirements in totality. For products not in our product portfolio, we source and ship based on customer’s requirements. We have thus obtained a reputation as a vendor of choice so that our clients can focus on their core business.